Yogev is from Jerusalem and now is one of our teachers in Ulpan La-Inyan. He has a degree in Social Work and enjoys languages, the cinema, and ceramics. 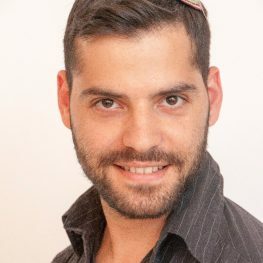 Yogev likes meeting people from different countries and cultures and guiding them, so teaching in the Ulpan is a perfect fit!